What are the Benefits of the Amex Platinum Card? The AMEX Platinum comes with a $550 annual fee (See Rates & Fees). 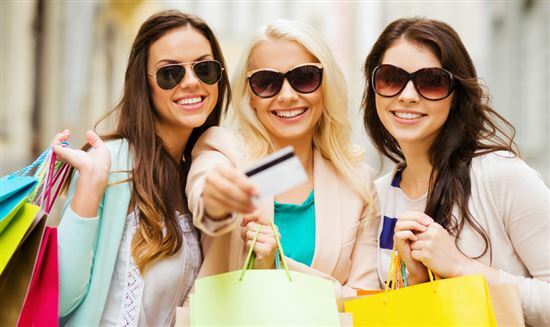 But savvy cardholders can help make up for it by taking advantage of its perks and rewards. Maybe you're debating whether to add a Platinum Card to your wallet. Or maybe you're just not sure you're getting the most out of it. Either way, keep reading. We'll break down each benefit and its true value. We also give you tips on how to maximize the value. To sweeten the deal, American Express offers a 60,000-point bonus to new members when they use their card to make at least $5,000 in purchases during the first 3 months. What can you do with the points? The points you earn with the Platinum Card can be redeemed for flights, hotel stays, car rentals, vacation packages, shopping, gift cards, and more. Redemption starts at 5,000 points, and each point is worth 1 cent when you are using them for flights. 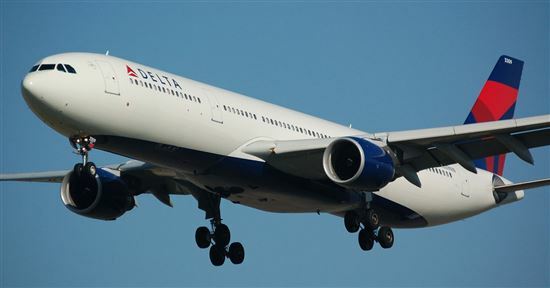 Points can be transferred to select frequent flyer or hotel loyalty programs. But for most people, the value of the card lies with the travel benefits. Let's review. To receive the statement credit, you need to select and enroll one qualifying airline. This isn't as flexible as Chase Sapphire Reserve's $300 travel credit, which can be used for any airline, any travel expense. 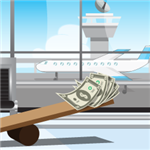 Tip: Select an airline that typically charges for a checked bag (make sure you fly with it though). For example, for domestic travel, Southwest and JetBlue already give you a free checked bag (Southwest even gives you 2). But airlines like Delta and United will both charge baggage fees. Keep in mind, unused credits do not roll over and this is only valid for rides within the United States. Just add your AMEX card in your Uber account in the "Add Payment" section. You'll then automatically receive the credits. Note: Credit and Uber VIP status available to Basic Card Member only. To get the most out of this, just make sure you take a couple of Uber rides every month. If you're going somewhere where the parking fee is typically high, use your Uber credit instead and save on parking at the same time. This credit also applies for food deliveries with UberEats, so you can take advantage of it that way too if you live in a city with this service. Get free food deliveries using the monthly credit. Every four years, you get a $100 statement credit towards either Global Entry OR TSA Pre. To receive the statement credit, you must charge the application fee to your Platinum card. We suggest that you apply for Global Entry. The application normally costs $100 and if accepted, it's valid for 5 years. This program essentially gives you pre-approved clearance to enter the U.S. And it also comes with TSA-Pre benefits. But TSA-Pre (which costs $85 for 5 years) doesn't come with Global Entry. So you basically kill both birds with one stone if you sign up for Global Entry. To understand how it works, read our detailed guide on Global Entry. Tip: To maximize the value even more, you can put 3 authorized users on your card. It costs $175 to add 3 authorized users (See Rates & Fees). 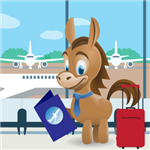 All authorized users also get Global Entry or TSA-Pre application credit as well. So that's essentially getting Global Entry for 3 other people at less than $60 each. At a participating airport lounge, you need to show your Platinum Card, photo ID, and same-day boarding pass to get in. To a lot of people, lounge access is worth the fee and more. Many lounges cost about $50 to enter, so for $550, 11 visits will make up the annual fee. Some of the lounges, such as the luxury Centurion Lounges, offer exceptional amenities, including complimentary gourmet food. You also have the option of enrolling in Priority Pass Select (at no additional cost). 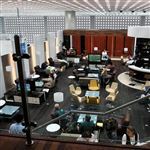 This program offers unlimited access to more than 950 lounges at airports around the world. This coverage is equivalent to Priority Pass's Prestige membership, which costs $399/yr. It's even a little better as you're also allowed to bring in 2 guests at no extra charge. What's even more: Each Additional Platinum Cardholder also get Priority Pass Select membership. So if you fully take advantage of this, this means 3 additional people can get Priority Pass Select membership (a $1,197 value) for just the $175 it costs to add 3 additional Platinum cards. 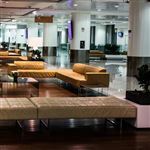 Each lounge has specific policies about bringing guests, so you'll need to review the rules carefully before you pay a visit. For instance, there may be limits on the number of guests you can bring or a minimum age limit. You may also have to pay a separate guest fee, which is automatically charged to your card. Estimate Value: Depends on how often you fly per year. And also on if your airports have any of these lounges. You must enroll in this benefit from your Platinum account. When you make a purchase at Saks Fifth Avenue (either online or in store) with your Platinum card, you'll be automatically credited on your statement. There is no minimum purchase required. However, note that Saks gift cards or purchases at Saks outlets are not valid. The $100 credit is shared between the Basic Card Member and any additional card members (i.e. authorized users don't get their own credit). Take advantage of the Platinum Concierge service. Many Platinum cardholders may forget that this is available for them. This service is actually quite valuable, though maybe not in the monetary sense. These are really time-consuming tasks that you may not have time for. So ask the Platinum concierge to help instead. You free up time and stress, and after all, time = money. There is no service fee to use the Platinum concierge (unless you need extensive help, like planning a large-scale event or meeting). Of course, you'll be charged whatever the request costs. Usually, you tell the concierge a not-to-exceed amount, and they'll perform the task within your budget. Value: How much do you value your time? Did you know: The Platinum Dining Program allows you to use Concierge service to reserve a table at more than 1,000 restaurants worldwide. Consultants can also help with reviewing menu selections, providing travel directions, or request any other special arrangementsbefore you arrive at the restaurant. There's another service called the Platinum Travel Service. Travel Counselors are available 24/7 to provide recommendations, help you find special offers or other travel benefits, and guide you on how to use your Membership Rewards points. You get complimentary Boingo Wi-fi, which connects you to over 1 million hotspots worldwide. There are no roaming fees and no data limit. And you can connect up to 4 devices. This is the same coverage as Boingo's Global Plan, which costs $39/mo. In fact, it's even better as you get unlimited access; whereas the Global Plan is just 2,000 minutes a month. 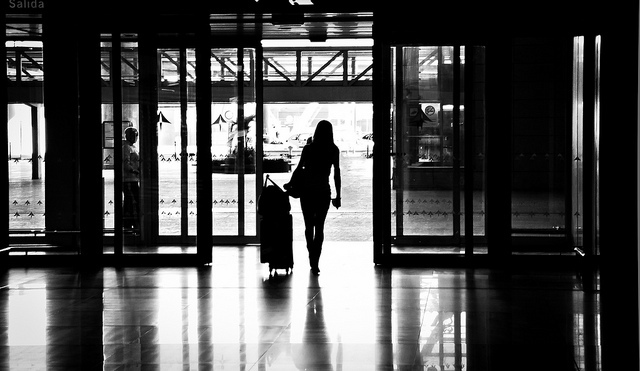 Boingo hotspots are in just about most major airports worldwide. They're also in many hotels and public spaces. So this benefit could really come in handy when you're in an airport without wi-fi. And this could save you from expensive roaming charges while traveling in another country. Estimate Value: $468. But most likely you won't be using the entire value, unless you travel internationally often. Note: FINE HOTELS & RESORTS bookings are not eligible to receive 5x points. But to really get the best value, you have to make use of the complimentary night feature. This benefit isn't as advertised, but many hotels have special offers for a complimentary 3rd or 4th night. One free night could save you hundreds. We find that the FHR rates aren't always the cheapest you can find, but the free night would still be significant savings. However, keep in mind that the hotels in this program are already expensive. They usually already cost hundreds a night (even up to $1,000/night). But if you do use this benefit, with a free night, $100 food & beverage credit, and complimentary breakfast (just eat later and make it a lunch), you can easily save hundreds on a luxury vacation. Tip: Another great thing is that you can still usually collect hotel loyalty program points with bookings made through FHR. Estimate Value: Depends on if you'll use it or not. If you do, it can easily be worth over $500 savings for a stay. If you book an eligible hotel stay of 2 or more consecutive nights with AMEX's The Hotel Collection, you get a $75 credit. 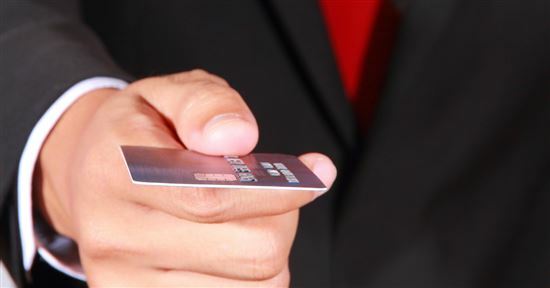 This credit can be used for qualifying purchases such as dining, spa, and resort activities. You could also be eligible for room upgrade at check-in, if available. You can book the stay either through amextravel.com or through Platinum Travel Services. You can book up to 3 rooms at once, and each room will receive the $75 credit, making it $225 total. 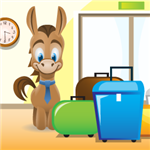 The hotels offered by The Hotel Collection are usually a lot less expensive than the ones in the Fine Hotel and Resorts Program. However, you only get 2x Membership Reward points per dollar (instead of the 5x on prepaid hotels on amextravel.com). And you also won't earn any hotel points if you're part of the hotel's loyalty program. But the $75 credit may be worth a lot more than any loyalty points you may have received. Tip: AMEX has a Lowest Hotel Rate Guarantee, where if you have booked a hotel stay on amextravel.com, and then later found a cheaper rate elsewhere online, you'll be refunded the difference. The cheaper rate must be for the same hotel, same room type, same dates, and same number of adults and children. Get Gold Status with Marriott Bonvoy. At the Gold Status, you'll enjoy bonuses like room upgrades, late checkout (subject to availability), and your choice of a complimentary welcome gift. 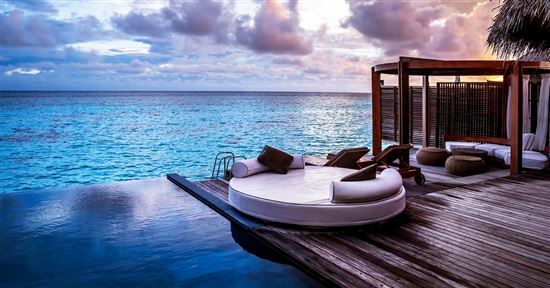 Get Hilton Honors Gold Status. At this level, you'll enjoy benefits like late checkout (subject to availability), complimentary wi-fi, discounted rates, complimentary gift such as bonus points or snacks, and 5th night free when booking a reward stay with points. You usually need to stay a certain number of nights with the hotel per year to get elite status. So it's a nice perk that you just get it with the AMEX Platinum. Enrollment required. Estimate Value: depends. If you stay for a couple of nights a year with any of these hotel chains, it could still be worth $50-$100. Especially if you're able to score a room upgrade. AMEX has upgraded their International Airline Program. Now, you get discounts on premium cabins when you fly with one of their 15+ participating airlines booked through American Express Travel. It can be either a refundable or non-refundable fare. You can purchase up to 8 tickets and receive the discount. You can Pay with Points for the ticket (or just a portion of it), and still get miles with the airline too. The trip must originate and return to the U.S. There is a $39 servicing fee per ticket, and you must call the Platinum Travel Service to get a quote and book the ticket. Tip: Previously, you got a complimentary companion ticket if you book a non-refundable Business or Flight Class international flight with participating airlines. You had to pay a service fee of $39 per ticket, as well as any government imposed taxes/fees and airline imposed fuel/security surcharges. This had limited benefits, as non-refundable fees are more expensive, and the taxes and fees can add up to a lot. In our opinion, this new program is an improvement. Estimate Value: Depends on how often you fly premium cabins. If you do make use of this, you can save $300-$1,000 per ticket. guaranteed a car even if you didn't make a reservation beforehand (for some programs). The Platinum card also comes with loss and damage insurance coverage for eligible rental cars. This benefit can surely make it a little less hassle-free to rent a car. And with status, it's a good chance you'll get an upgrade as well. For example, National offers a guaranteed upgrade if you reserve a car at the mid-size rate. Value: Depends on how often you rent a car. The value isn't humongous, but it's a nice perk nonetheless. If you book an eligible cruise of 5 nights or more with AMEX Travel, you get shipboard credit on most cruise lines. This is only for double occupancy rooms. The credit can be used towards shore excursions, spa services, on-board specialty food and drinks, on-board shopping, and even gratuities. $300 shipboard credit for Queen Mary oceanview staterooms category ED or higher, and Queen Victoria/ Queen Elizabeth oceanview staterooms category FA or higher on Cunard Line. $300 shipboard credit for stateroom categories on Ama Waterways, Oceania, Regent, Azamara, Seabourn, Crystal, Silversea, Uniworld, and Windstar. Each cruise line usually also offers additional exclusive amenities for Platinum cardmembers. These can include private galley tours, spa credit, complimentary bottle of wine/champagne and hors d'oeuvres, etc. Plus, you also get one extra point per dollar when booking with American Express Travel or any eligible Travel Associate Platform agencies. If you are planning on taking a cruise, this benefit can potentially save you hundreds of dollars on your trip. You can use the extra shipboard credit on items or activities you usually wouldn't splurge on, making your trip more fun and memorable. Estimate Value: Depends on if you're taking a cruise. If you do, you can save $100-$300 per room. Another benefit the Platinum Card offers members is access to special events. Subject to availability, you can purchase tickets to Broadway shows, score prime seats for Wimbledon, see your favorite artist live in concert, or sit in the front row at a New York fashion show. Discounts are available for selected events when you use your Platinum Card, and you're always eligible for Preferred Seating. By Invitation Only is a separate entertainment program for card members who are looking for a once-in-a-lifetime experience at an affordable price. Most event tickets are all-inclusive and trips are already planned out, so the only thing you need to do is show up. If you've ever wanted to watch the Monaco Grand Prix from a VIP yacht or enjoy wine tasting in Napa Valley, the Platinum Card can try to make it happen. You get a complimentary ShopRunner membership. This is a service that partners with hundreds of brand-name stores to provide free 2-day shipping, free returns, and exclusive deals to members. This service usually costs $8.95/month (or $79/year). You can shop either on ShopRunner or directly on the stores' websites. As long as an item has a ShopRunner logo next to it, it means it's eligible for free 2-day shipping with membership. You'll receive this perk as long as you don't log out of ShopRunner. This is a small perk but it's great for the online shopping lovers. There are also no foreign transaction fees (See Rates & Fees) associated with the Platinum Card, so you won't have to pay extra for purchases made outside the U.S. You also never have to worry about paying interest on what you charge since your balance must be paid in full each month. CONCLUSION: IS THE PLATINUM CARD WORTH THE ANNUAL FEE? But some of the benefits aren't so easy to assign a value. It all depends on if you use it or not. If you travel several times a year, you will definitely make use of the airline credit, airport lounge access, and Boingo wi-fi. And it's easy to use up the Uber credit too. All this alone could easily justify the $550 annual fee. This card is mostly about benefits that allow you to travel in style. You can have better travel experiences and get perks like free room upgrades. And don't forget about the value of the Platinum Concierge too. As always, terms and conditions apply. Disclaimer: This content was first published on June 3, 2015. This content may have been updated on May 16, 2017. Information including APR, terms and benefits may vary, be out of date, or not applicable to you. Information is provided without warranty. Please check American Express website for updated information.